A personal loan is taken to meet the personal expenditures for which you may not have the funds or are unwilling to sell off an asset. However, the personal loan you take must be repaid to the bank along with the interest rate along in a specified time. The HDFC calculator is a tool which helps you to calculate the repayment amount. The HDFC Bank personal loan EMI calculator had been designed to simplify the complex formulae of calculating your monthly payments. The three key inputs required by the Loan EMI calculator are the loan amount, term and interest. With these inputs, the calculator automatically does calculations for you. Your EMI includes two main components – principal and interest. All input required by the calculator affect the EMI amount. Increase in the rate of interest will increase your EMI and increasing the tenure reduces your EMI. You can adjust the variables as per your requirement by using the sliders. Principal Amount – The amount is the loan required to meet your expenses. The amount can be taken for a wedding, traveling, education, renovation, starting a business, etc. It is standard, a higher personal loan means a higher Personal loan EMI. Interest Rate – The bank charges this annually though it can be compounded quarterly. The total interest rate payable is to be paid from the first EMI. If you go in for a high-interest rate, you should be ready to pay a higher EMI. Tenor – This is the number of years within which you are expected to return both the loan and the interest payable. A longer tenor means a reduced EMI, but you can choose a shorter tenor if you want to pay back the loan quickly. CIBIL Score – The CIBIL score is very important while taking an HDFC personal loan as it will have a direct impact on the interest rate, which will ultimately affect the EMI. Once the amount has been input, you can keep changing the amount as well as tenor, as many numbers of times as you want, until you reach the ideal EMI. 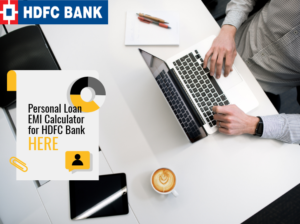 HDFC Bank personal loan calculator is transparent and it is designed to help you to plan your monthly EMI’s and repayment and disbursal of the loan as per your needs. Visit HDFC home loan page on the bank’s official website and click on the EMI Calculator tab. Enter your loan amount, present rate of interest and the tenure you want to opt for. Finally, click on the ‘Apply Now’ tab and you will get all the details you are searching for. HDFC Bank insta jumbo loan gets you a loan within seconds from the HDFC Bank. You can apply for insta jumbo loan over and above your existing credit card limit and receive the instant credit of loan. You get the benefits of zero documentation; the attractive rate of interest and your credit card limit is not blocked when you apply for insta jumbo loan. HDFC Bank offers an option of personal loan preclosure to the borrowers after paying 12 EMI’s plus the foreclosure charges which might be applicable. If you meet these criteria, you can repay your HDFC personal loan before the original due date and finish your loan early if you have sufficient funds in your bank. You will be required to get in touch with the HDFC bank representative and express your interest in pre-closing your HDFC Bank personal loan. You can make the prepayment through cheque or demand draft at any of the HDFC Bank branches. HDFC Bank offers affordable personal loans for 5 years with EMI’s as low as 2187 per lakh at an interest rate of 11.25 %. Every EMI is a mix of interest payment and principal repayment. Every month there is a change in the proportion of interest component and principal repaid. With every EMI payment, the proportion of principal repayment keeps increasing and interest component keeps reducing. 1. Will my capacity to borrow be checked? HDFC will first check your capacity to repay in time before sanctioning a personal loan. They will take into consideration your monthly salary, regular bonus, incentives etc. and any other sources of income which may have been stable over a period to increase the loan amount. 2. What if I have Existing loans? As part of your eligibility criteria, HDFC will check your monthly outflows and any current loans to gauge your repayment capacity. Usually, expenses and other loan payments or outflows should not be over 55-60% of your monthly income. If this is higher, your loan HDFC personal loan eligibility will decrease and there are lesser chances of you getting the approval from the bank. 3. Will the number of dependents affects the loan eligibility? The HDFC Bank will decide on the eligibility of your personal loan by verifying the number of dependents you have like your children, spouse, and retired parents. 4. Do my Educational Qualifications matter? Your educational qualifications are a decisive factor in getting a personal loan from HDFC Bank as it decides the tenure of your career and future prospects of retaining your white collar job. 5. Will the nature of your profession have any effect on the EMI? The nature of your profession plays a vital role in determining your HDFC loan criteria. People employed in the field of architecture, law, medicine, accounting etc. are better qualified for getting the personal loan from HDFC Bank. 6. Does Income Security make a difference to the loan application? It is important to have a stable job to qualify for HDFC personal loan. Switching of jobs frequently will not get you a higher loan amount and your increments and promotions will be affected. If you have spent over three years in a company, thecaln the bank may grant you a loan without any hassles. 7. Is my Credit Score important? HDFC personal loan department checks your credit score with credit rating agencies such as CIBIL to find your repayment history. A bad credit score reduces the chances of securing any kind of loans from HDFC Bank. If you wish to change the mode of payment there is an additional charge applies. HDFC bank personal loan pre-closure calculator is a tool helps you calculate the total sum amount to be paid to close a personal loan account. This calculator calculates the EMI’s borrower needs to pay.